Back in 2002, when I first began this phase of jewelry design, I woke up one cold morning, grabbed a silver necklace, and shivered. "Whoa! I want a warm and cozy piece of jewelry at my neck." Do you ever feel that way on a frigid February morning? The necklace had to be decorative and glittery, a piece of jewelry after all. 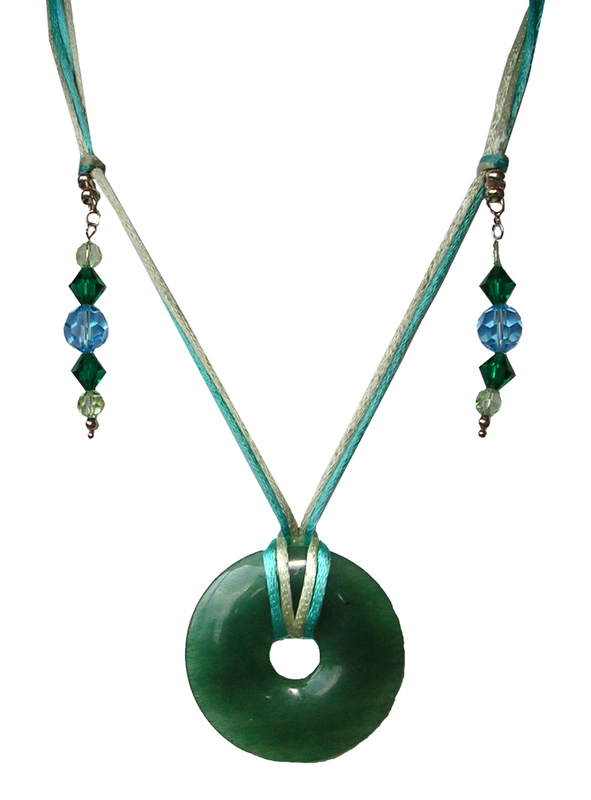 I started using seductive satin cord, attaching semi-precious stone donuts. I used satin cord for lariats finished with Swarovski crystal. 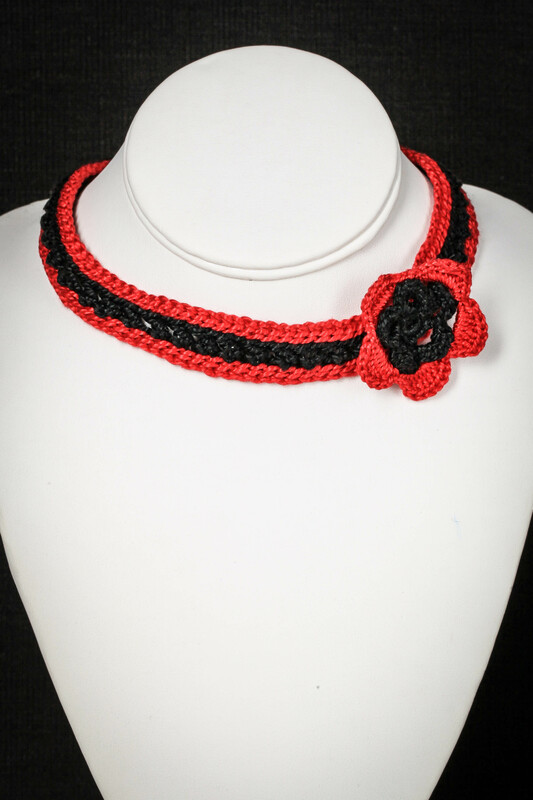 Then a customer asked for a black and red dog collar with an off-center flower. 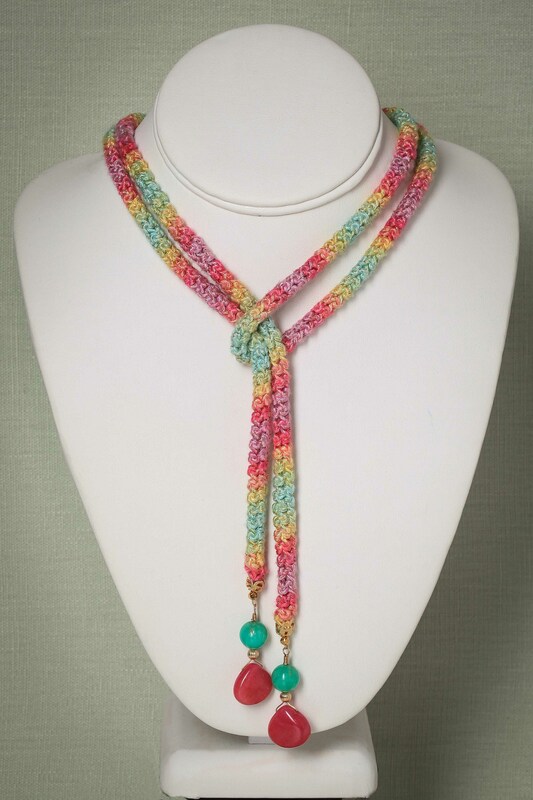 I learned crochet to do this piece and have crocheted many lariats and necklaces since then. 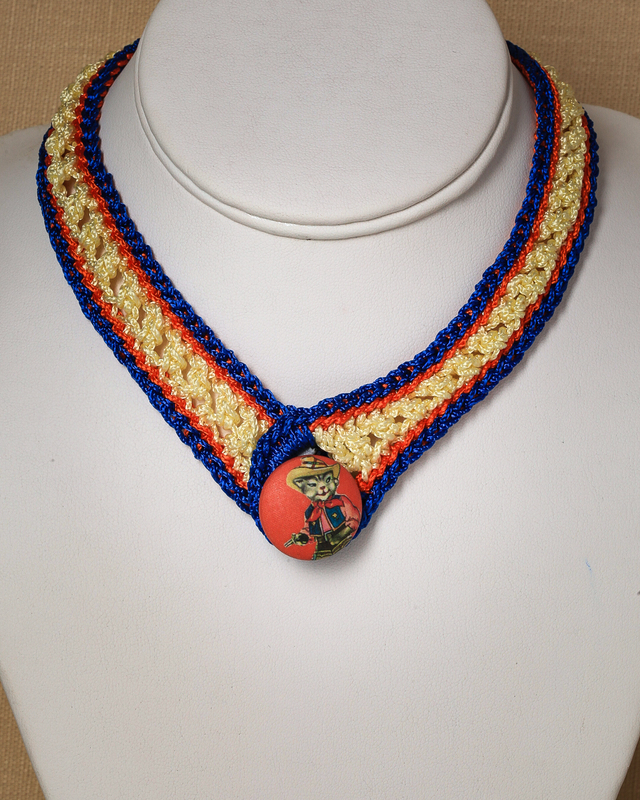 I am a knitter since forever, but a crochet hook seemed a more appropriate tool for a small piece of jewelry. Oh so flirty! 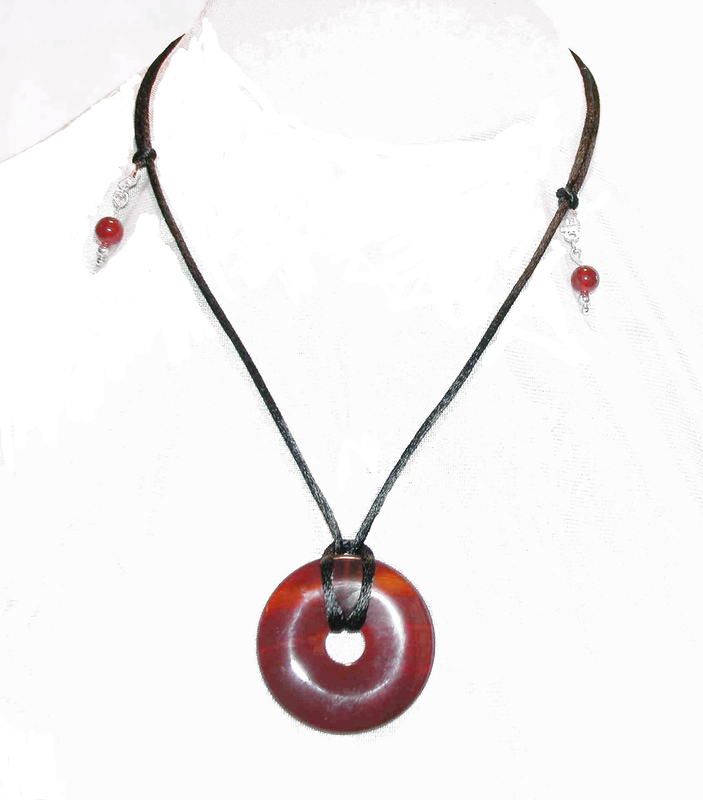 This piece is adjustable, so you can wear it dog-collar style around the neck or in a slightly longer choker length. A crocheted button at the back fits into one of three buttonhole sized spaces at the end. Contact me for other colors. I just bought a new supply of this button that had not been available for a long time. When I saw it back in stock I happy-danced in the middle of the store - yeah, brick and mortar! I always feel so retro when I wear this choker. You may too. You'll want to bat your eyelashes, olden style. It's light, comfortable and just a bit flashy. I rarely wear it to an office, good girl that I am. Your choice. A classy and casual feminine beauty. I love it with a pale pink cashmere v-neck and tan trousers. 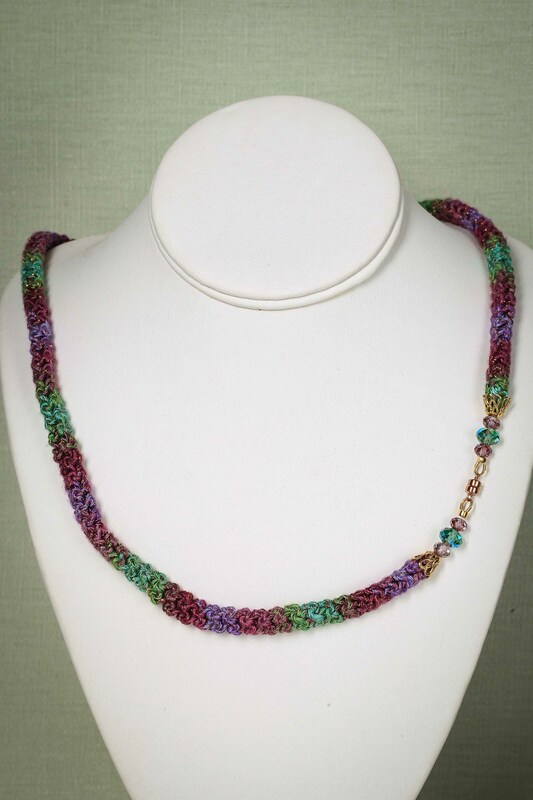 I love the way this oh so gorgeous Blue Heron colorway matches the Swarovski beads. I positioned the beads next to the magnet clasp. The beads can be a hidden secret at the back of your neck, or you can show them off in front. I used the same yarn color and Swarovski combo in a lariat and in a bracelet. I love being able to adjust the length of a necklace. 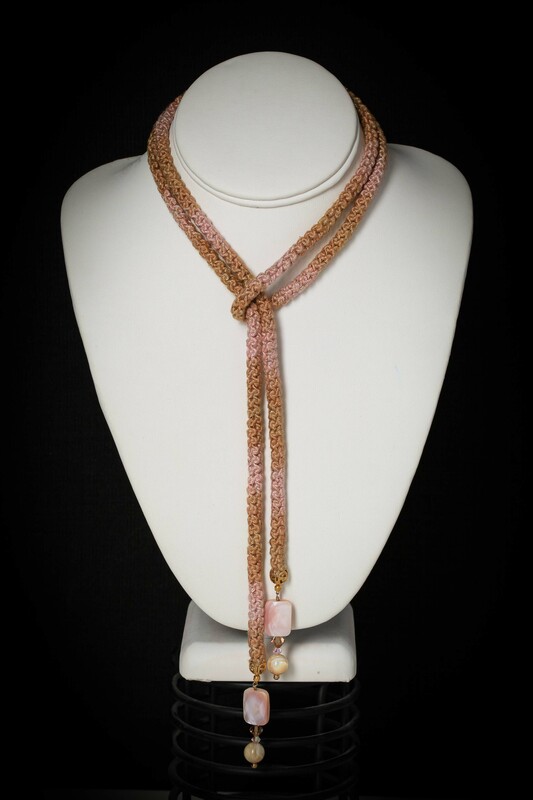 Sliding knots work beautifully with sleek satin cord and the small carnelian beads add the perfect finishing touch. Casual, adjustable and just right when you want to fit in but be noticed at the same time. On a day full of meetings perhaps? Yes, an every-day sort of necklace. 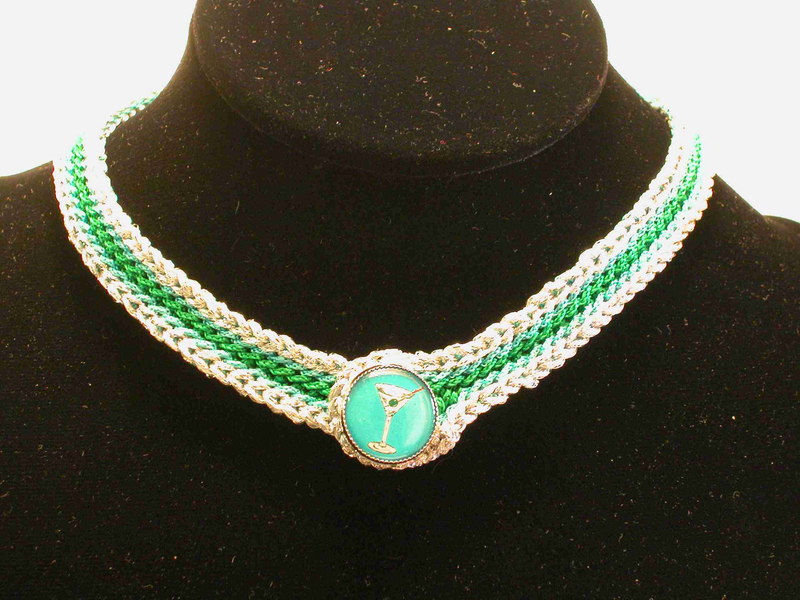 This top quality slinky satin cord will feel so smooth around your neck. The cord comes in many glorious colors, and I can make one to your order with coordinated stones or Swarovski crystals. Contact me to discuss. A great look for a rhinestone cowgirl.